I'm curious just how much power the Alternator can produce, I have found that with 6 connections, (each limited to 4k, HV power) I get a total pull of 24,576 but the Alternator is still FULL, it doesn't drain. This leads me to wonder, if a mod added a power cable that supported IE, that had MORE than 4k max transfer rate, how much power is the Alternator actually producing, as right now I max it out and it still shows full power. JUST noticed that the NEWEST version supports other mods power systems, and there was much rejoicing. Noticed that Thermal cables won't recognize it, the Energy Cell from thermal expansion will, but the cables will not. I'm new to moded minecraft. I notice IE basically relies on power generation. As a chemical engineer myself, I love it in every aspect. But what use have all this energy production? Can You Port The Mod to 1.10.2, It Would Be Greatly Appreciated. from the previous comment on this page, in the future are you gonna put in more possible ways to b\plug stuff into the alternator? like flux networks, fluxducts and EIO energy conduits to name more? if their already implimented idk how mine doesnt work then. Cool looking mod, but the alternator only extracts power using the IE connectors, plugging batteries or cables from other mods don't extract the power. e.g. powercell from RFTools, xnet connectors, energy laser relay from actually additions to name a few. Tried using that jar file... game didn't detected it, and all the structures on the test map are now gone. 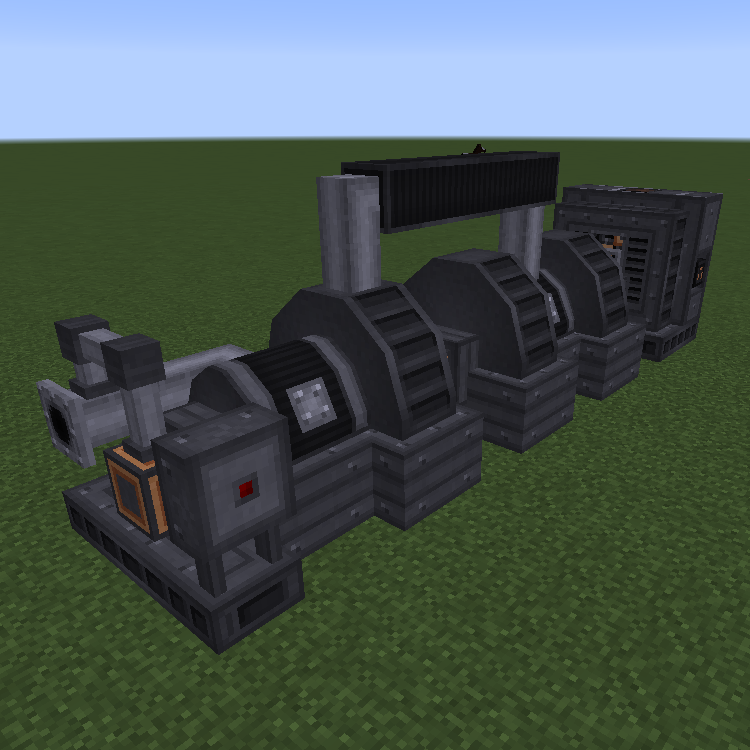 It worked for powercells from RFTools, and relays from Actually additions, but xnet connectors with energy transfer didn't work . Does the diesel generator from ie work with xnet connectors? Just tested it, and yes they do work on the diesel generator. Upgrading from 1.3.7-SrvTech to 1.3.8, all solar towers stopped working. Showing no lights from all directions. Downgrading back to 1.3.7-SrvTech and solar power is back. Anyone else hit the same problem? I also tried to rebuild the solar towers and reflectors, no luck. Alright, distance between must be 5-10 now.